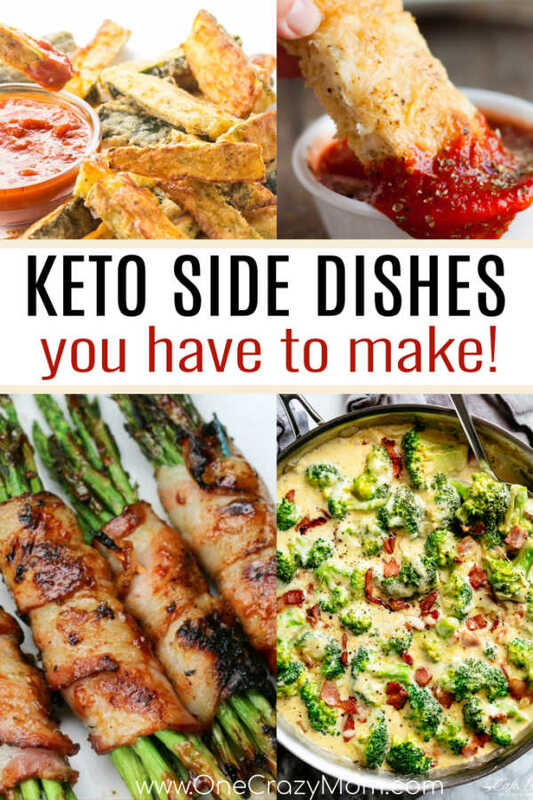 Keto Side Dishes - Easy Keto Side Dishes You will love! 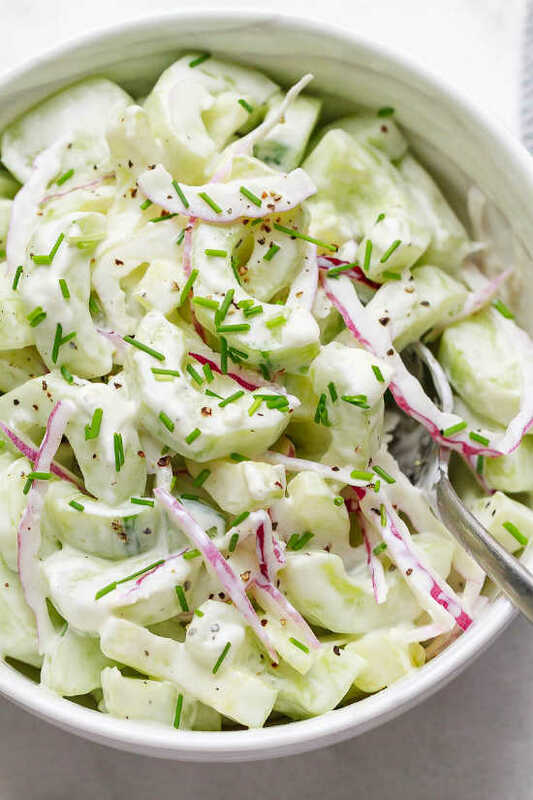 From broccoli casserole and lime steamed asparagus to cheesy cauliflower and more, these creative and delicious recipes will make the best side dishes to try while eating low carb. In fact, the entire family may want to jump on board once they see how amazing these recipes are and just how great they taste. 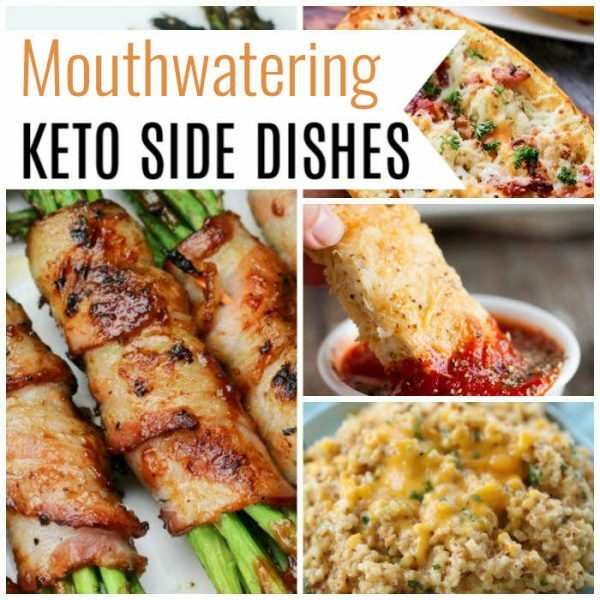 If you are doing keto, these side dishes are a must try. They are perfect any day of the week but delicious enough for holidays and more. We have something for everyone to enjoy! 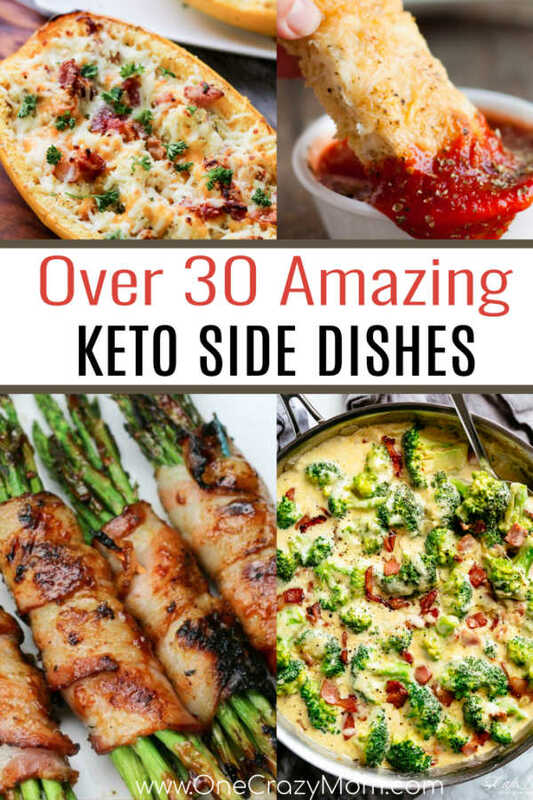 You might also want to try these 40 Easy Keto Dinner Ideas to go with all of these tasty new keto side dish recipes. Let’s get started with these easy keto side dishes! 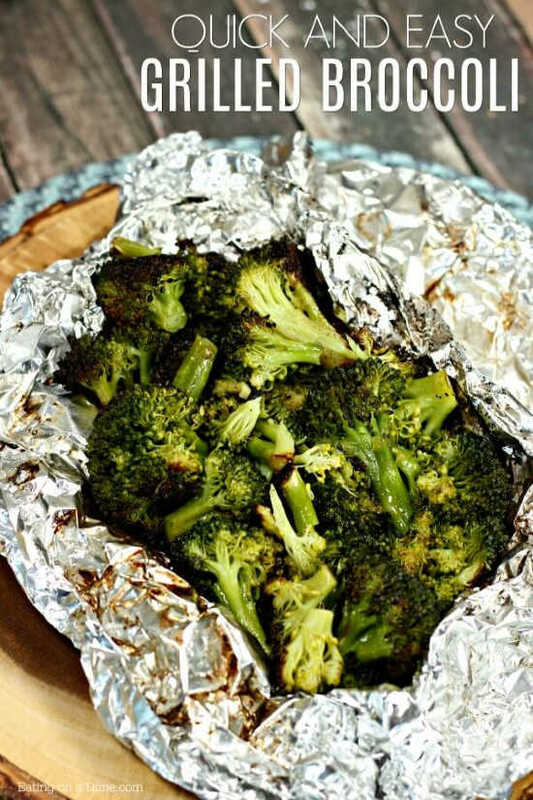 This easy Grilled broccoli recipe is so easy and fast to prepare plus so delicious. The broccoli is packed with flavor from being grilled and the crispy edges just make it so much better! 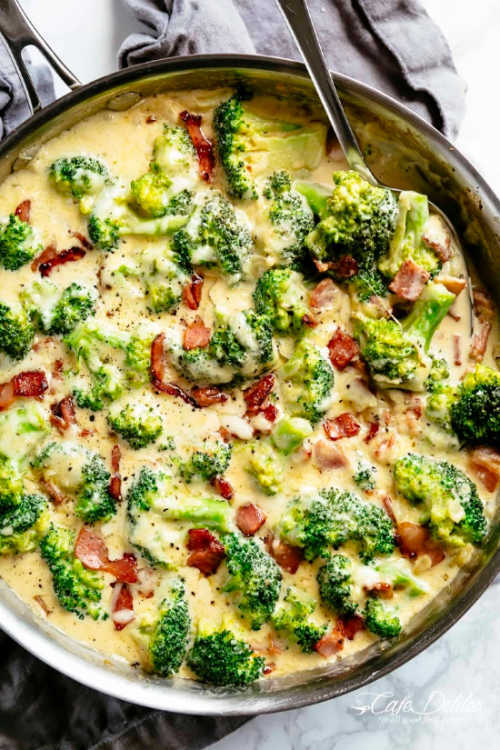 Sometimes you just need comfort food and this creamy broccoli is sure to impress. This dish is so creamy and delicious in every single bite. If you need a keto friendly side dish super fast, this is the recipe to try. 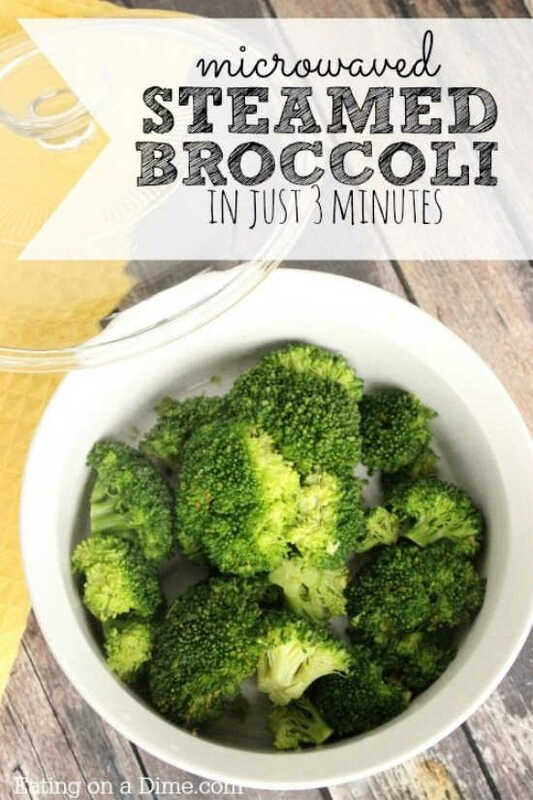 In just 4 minutes, you can have perfectly steamed broccoli that is so tender and delicious. This recipe is a great replacement for traditional tater tots. If you are missing potatoes, give these easy broccoli cheddar tots a try! This casserole is cheesy and delicious. 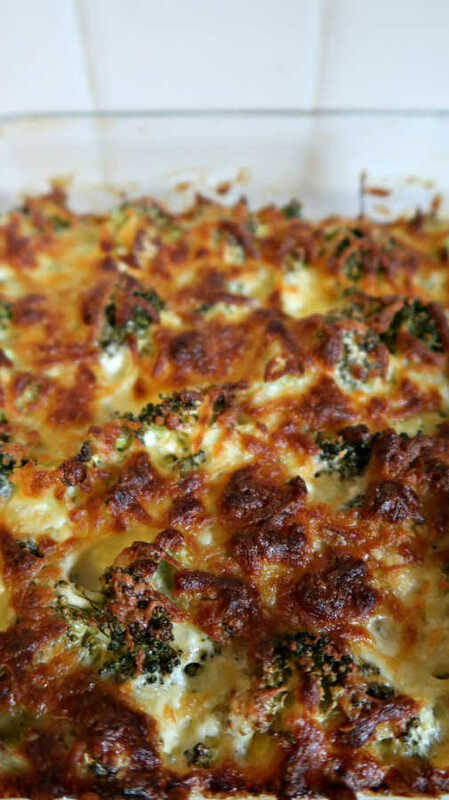 The broccoli is so tender and the cheese just makes the entire casserole come together perfectly. 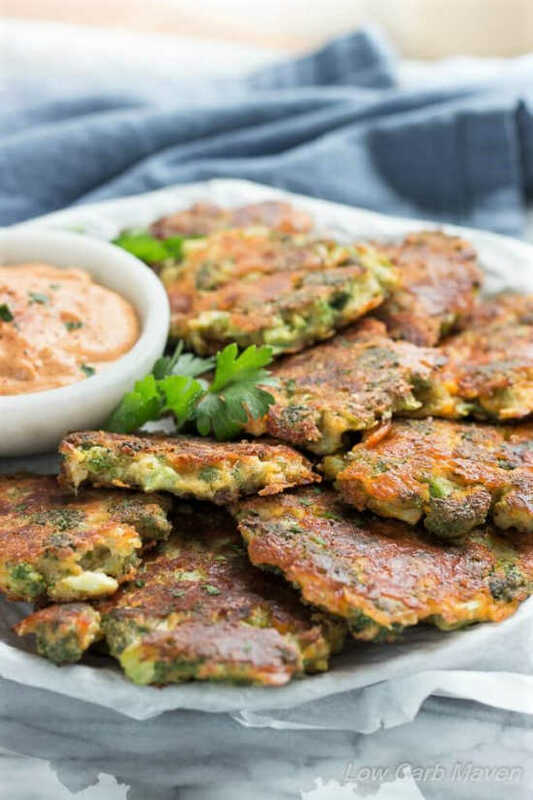 Use leftover broccoli to make these amazing broccoli fritters. They are fried up nice and crispy and the Cajun seasoning gives it a little bit of heat. 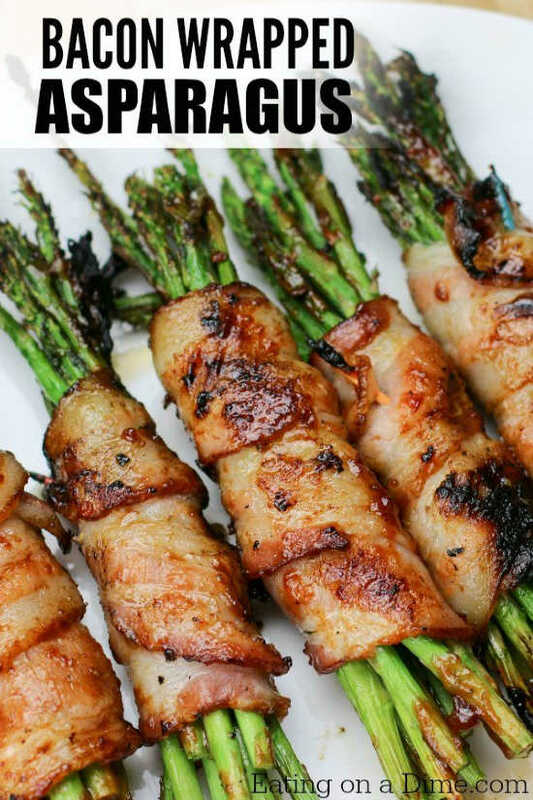 If you need a simple yet really amazing recipe, you must try this bacon wrapped asparagus. Even if you are not a fan of asparagus, you need to make this and try it. Everyone will love it! 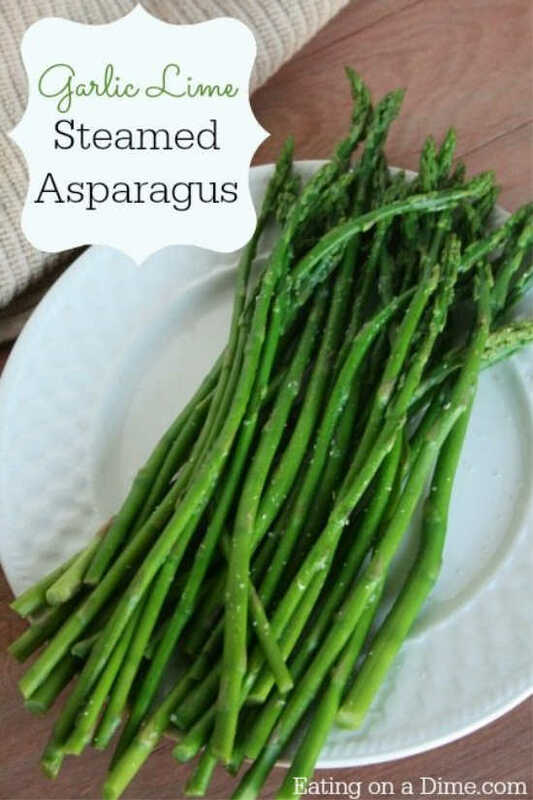 So light and tasty, this asparagus is the perfect side dish for any meal. The lemon and parmesan taste wonderful and the entire dish can be ready to eat in only 10 minutes. 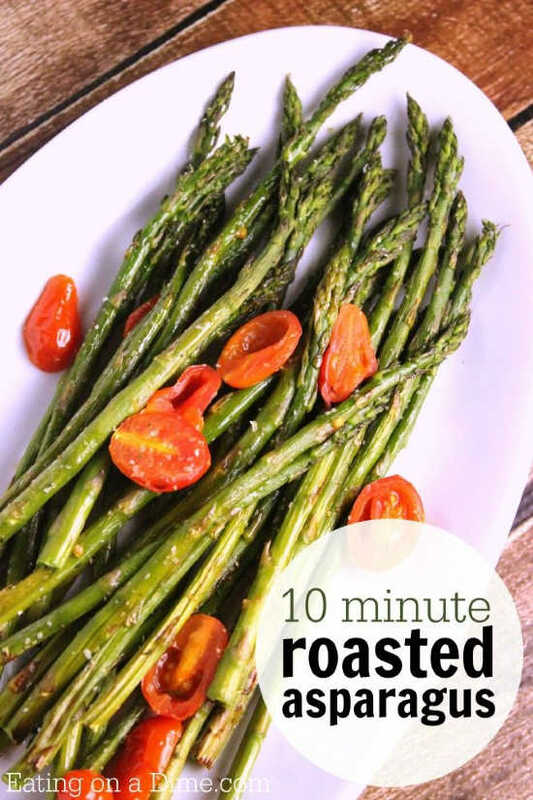 This Garlic Lime Steamed asparagus is so easy to make and tastes amazing! 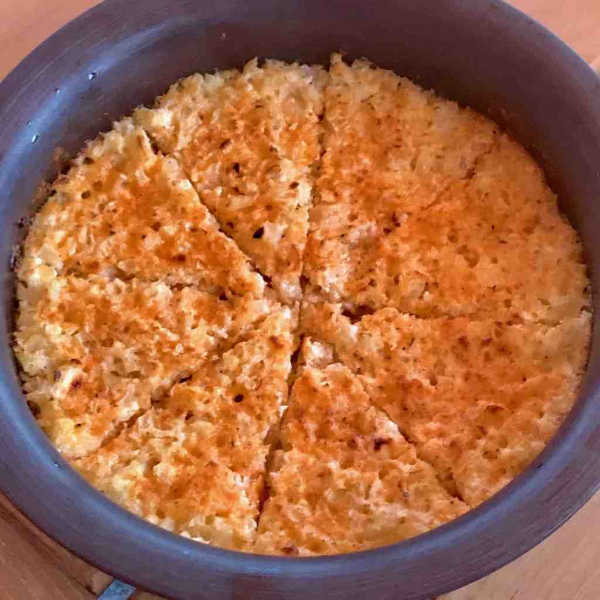 Whether is is cold our hot outside you can make this delicious side dish because it can be cooked in the skillet. It literally only takes minutes to make this dish. 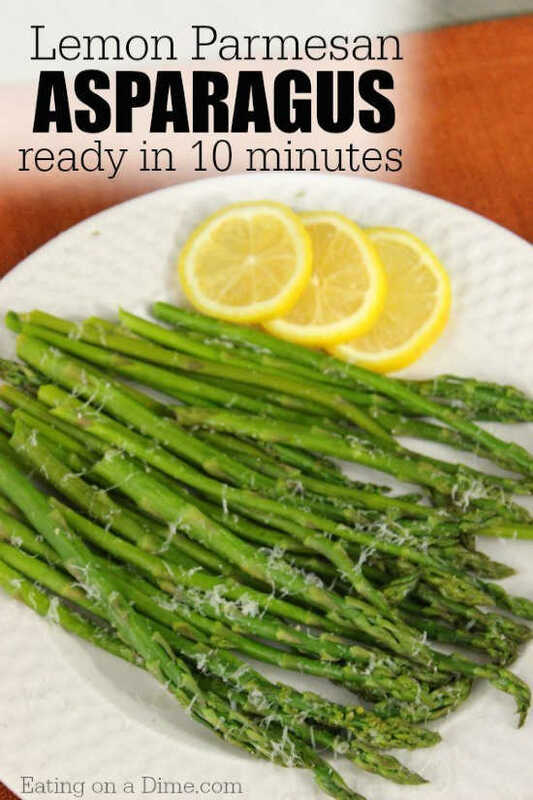 Learn how to cook asparagus perfectly in the oven in only 10 minutes. Top with some fresh cherry tomatoes to make this side dish even more delicious. 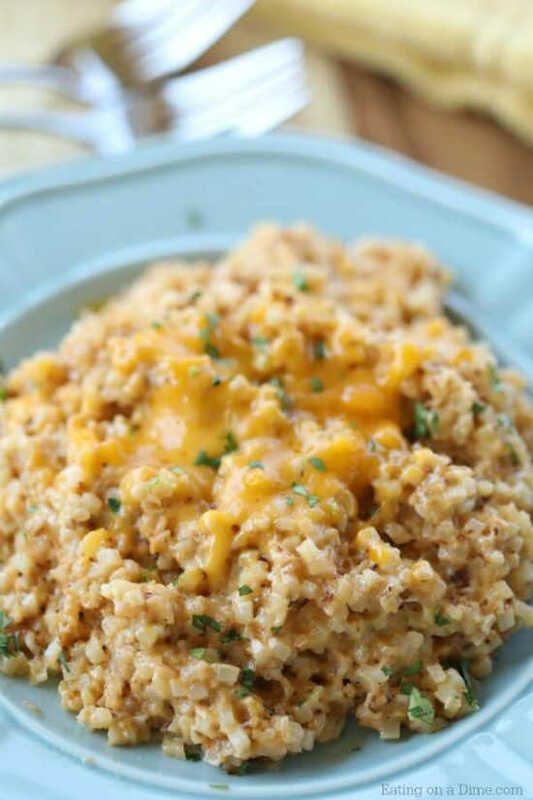 With just a few ingredients you can have this Keto Cheesy Cauliflower Recipe on the table in no time! It is loaded with cheese and even the kids will go crazy over this amazing recipe. 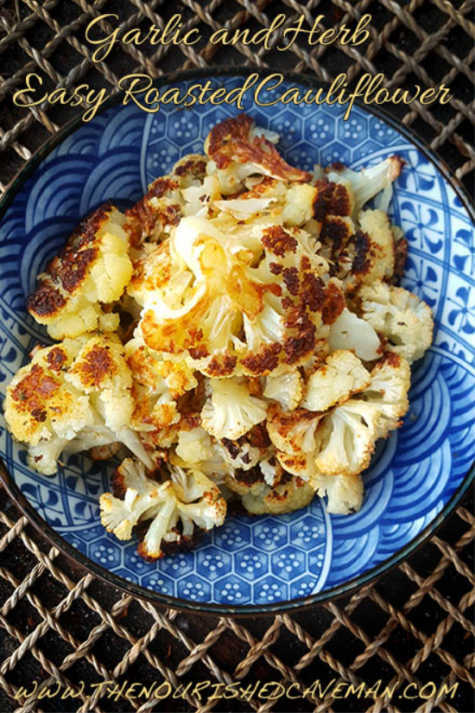 Cauliflower is such a great side dish vegetable because it can easily take on whatever flavor you choose. This recipe is packed with garlic and herb flavor to make this a hearty and delicious side dish recipe. If you love potatoes au gratin, you will love this recipe. The sauce is rich and creamy and melted to perfection over the cauliflower. The pressure cooker makes this recipe so quick and easy. The cheese and cauliflower blend together perfectly and will satisfy your craving for mac and cheese. Enjoy “potato salad” with cauliflower and no one will be none the wiser. It is full of all the ingredients you love and makes a really delicious mock potato salad perfect for potlucks and picnics. 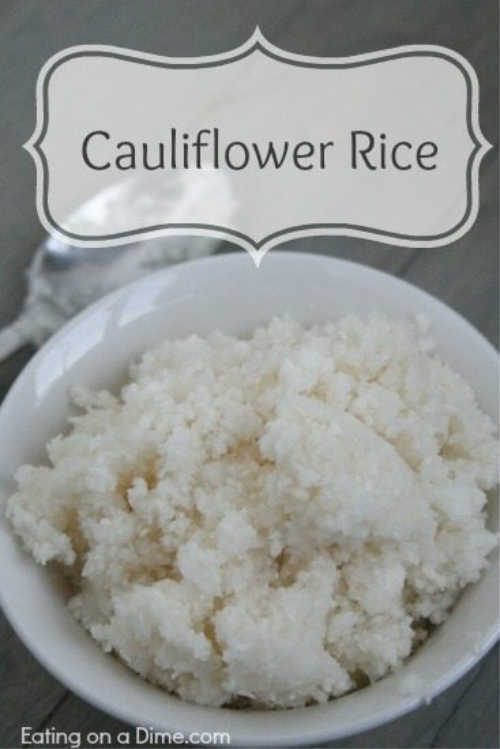 Learn how to quickly an easily make cauliflower rice. This is the perfect replacement for traditional rice and you will not even miss it! You won’t miss pasta with these flavorful “noodles”. This zucchini is packed with lemon garlic butter for an amazing side dish. 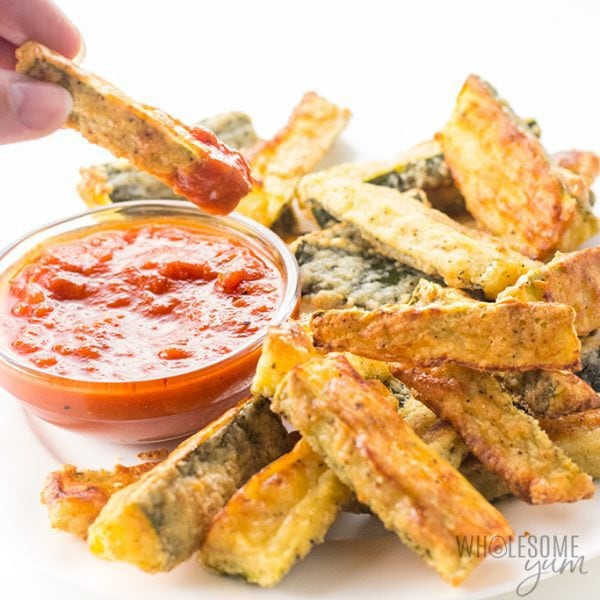 Enjoy fries without any guilt with these amazing zucchini fries. 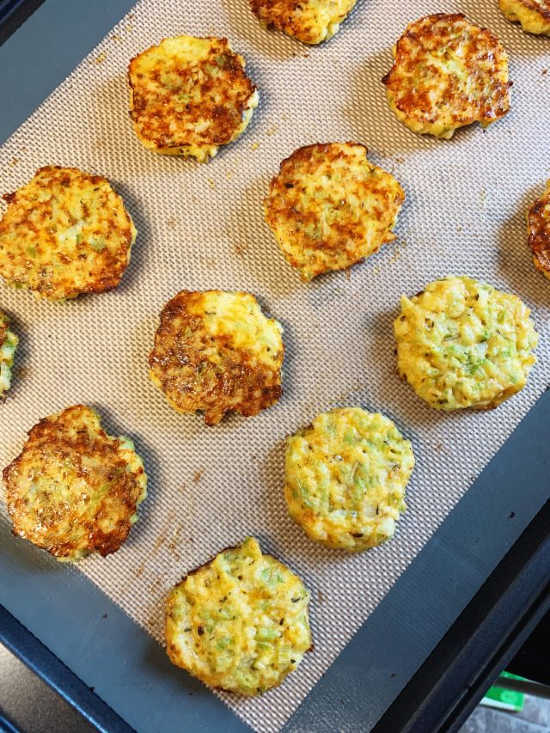 They are crispy and delicious and perfect to snack on or enjoy as a side dish to any keto meal. 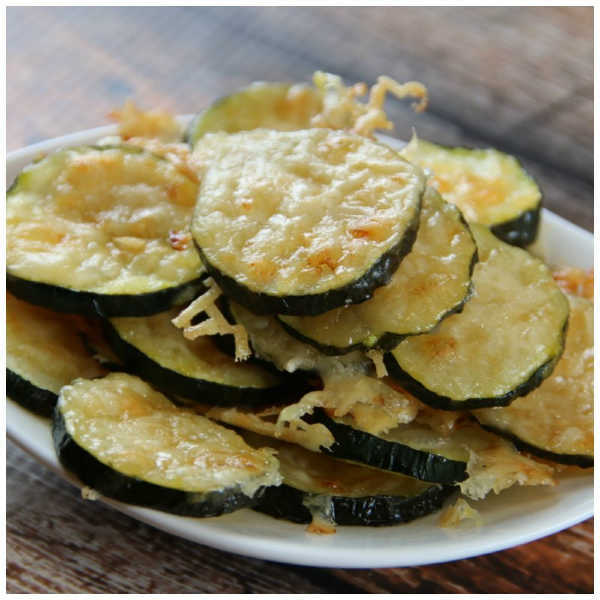 Use zucchini to make chips flavored with cheese that are crispy and crunchy in each bite. These are out of this world and the perfect side dish when you are craving chips. 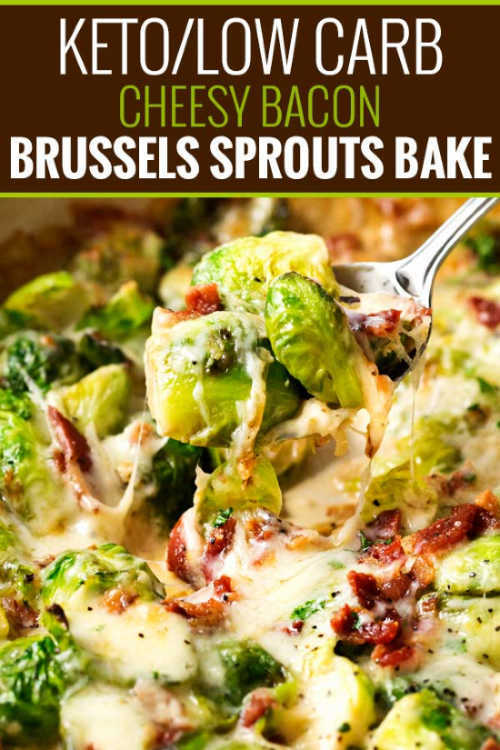 If you are hesitant to try brussels sprouts, this recipe will win you over. The cream sauce and seasoning come together to make this casserole so flaverful and creamy. 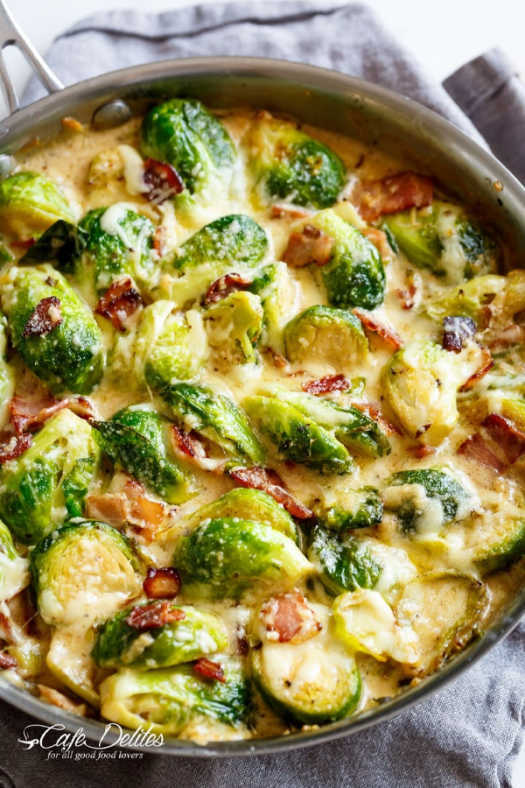 Lots of bacon and cheesy sauce make these brussels sprouts so delicious. You might be surprised how much you love it! 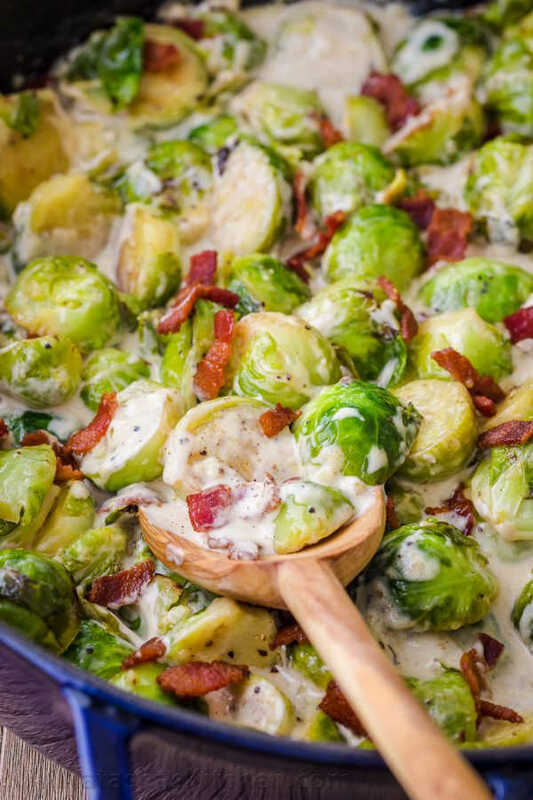 Alfredo sauce is the secret to these amazing brussels sprouts. They are creamy and delicious and sure to impress the entire family. Garlic and Parmesan cheese plus bacon give this recipe such a delicious flavor. You will love eating brussels sprouts this way. This salad is so light and refreshing and perfect anytime of the year. It comes together in just minutes and is one of the easiest side dishes to make. 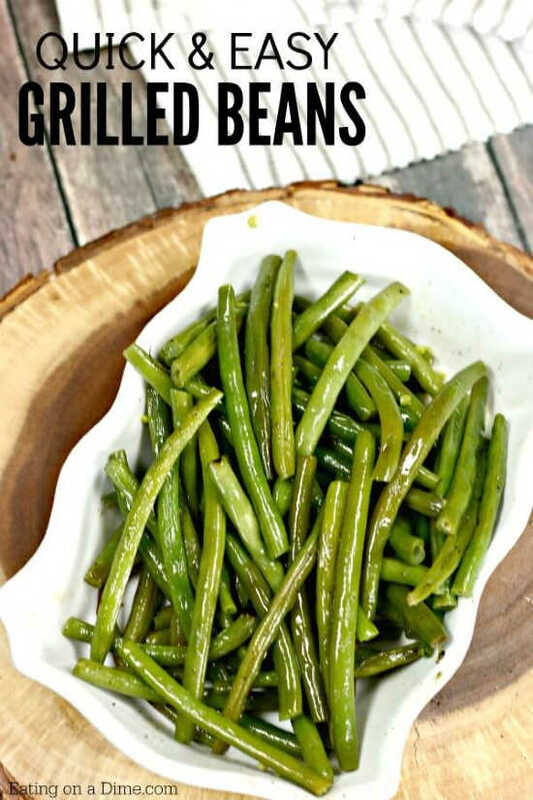 Throw green beans on the grill for a side dish that is simple, easy and literally no clean up at all. Plus, the grill gives the green beans just the perfect texture. 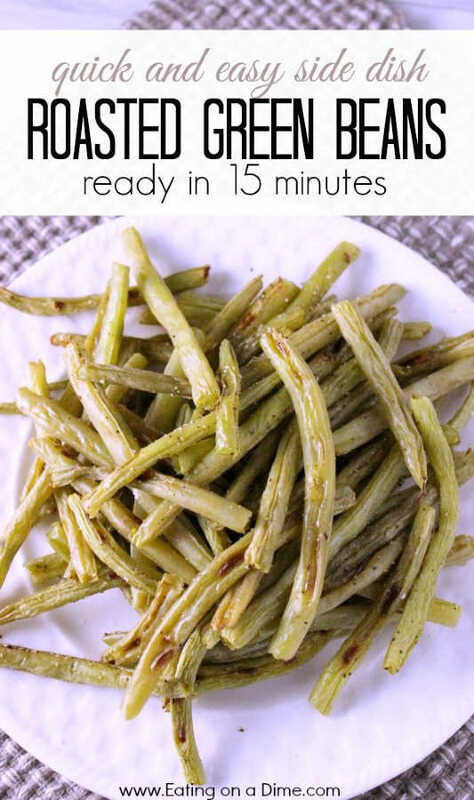 The entire family will love these tasty green beans. 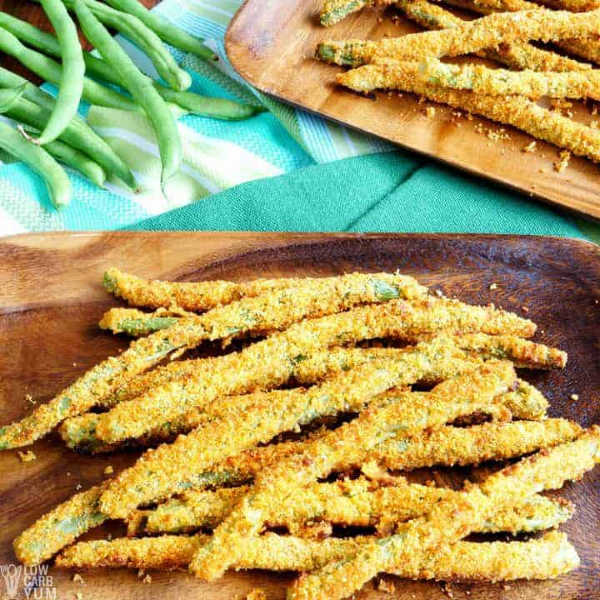 No need to stand over the stove when you can bake these green beans and the results taste just like you fried them. They are crispy and so delicious. These delicious roasted beans can be ready in only 15 minutes. It is such an easy keto friendly side dish and super tasty. 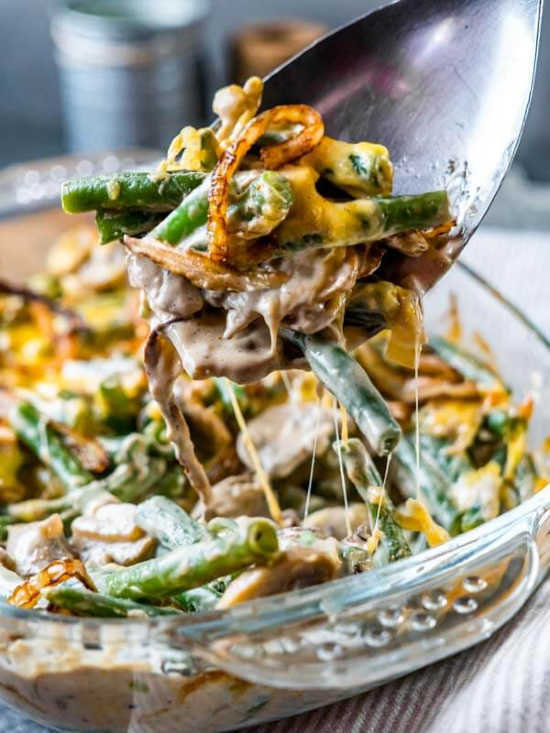 You can’t go wrong with green bean casserole and not it is keto friendly. 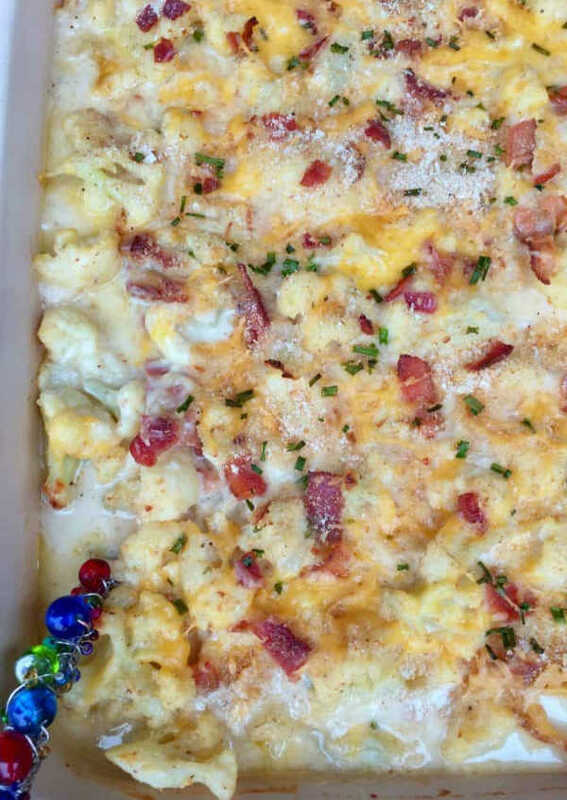 Try this creamy and delicious casserole at any of your family gatherings or any day of the week. 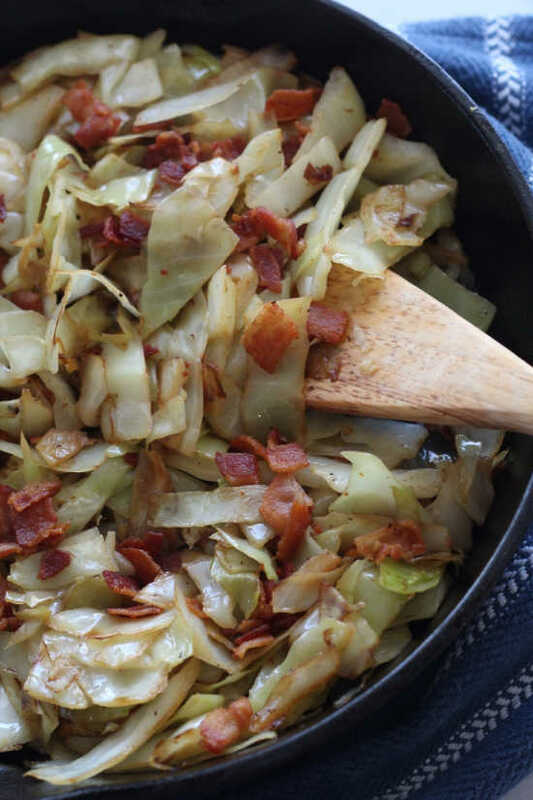 The bacon gives the cabbage such a great flavor and it is all fried to perfection. This is such a tasty side dish but you could easily make a meal out of it! 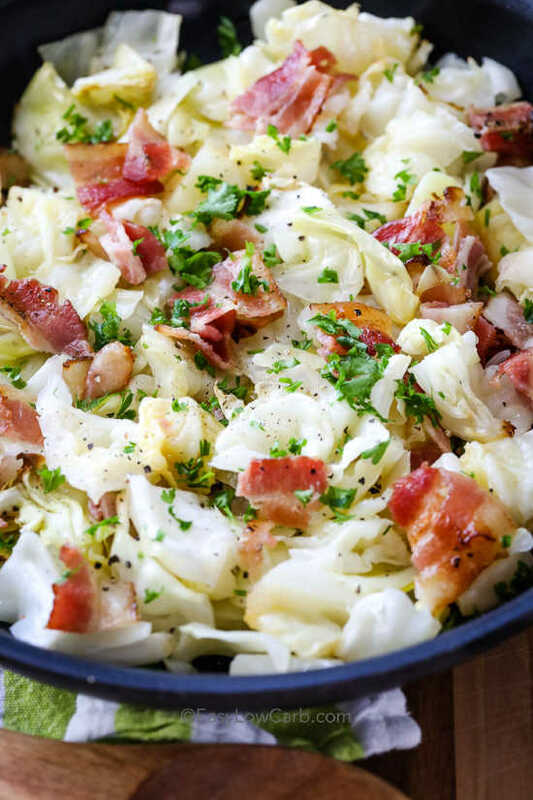 Bacon makes everything better and this cabbage does not disappoint. The onion and garlic simmer with the cabbage and bacon to make it so tasty. 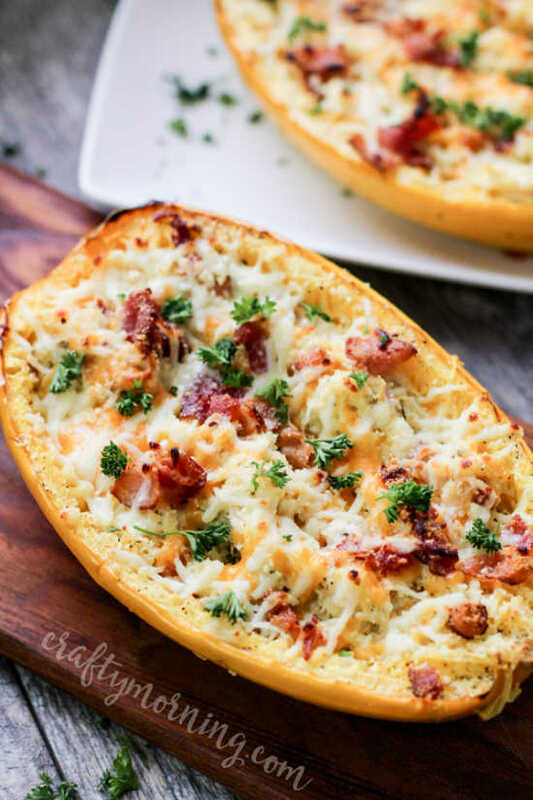 Baked to perfection, this is a delicious way to enjoy spaghetti squash. 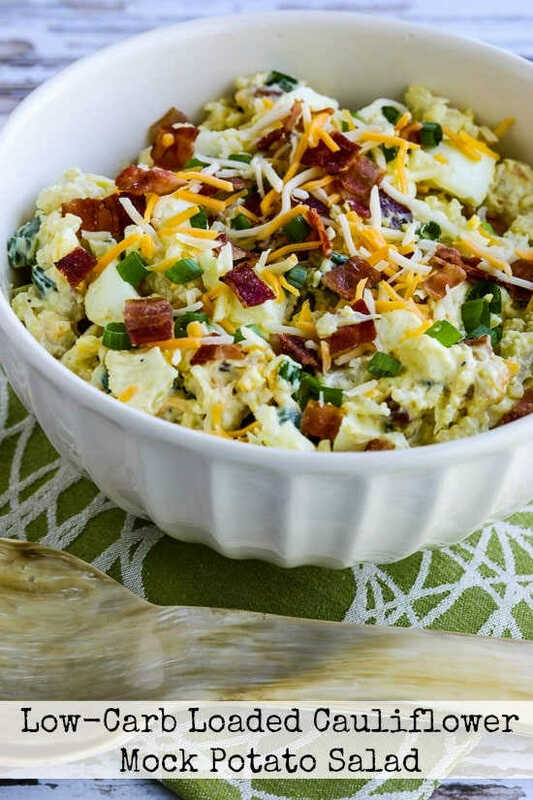 All the bacon and cheese make this side dish perfect to enjoy with steak or any meal you choose. Sometimes you just want a bread stick and with this recipe that is totally fine! 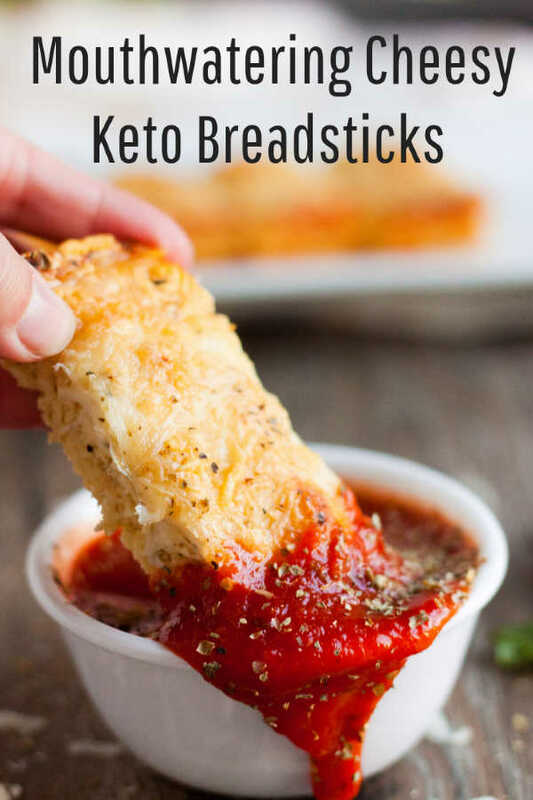 This keto friendly recipe for breadsticks will totally satisfy with all the cheese and more! 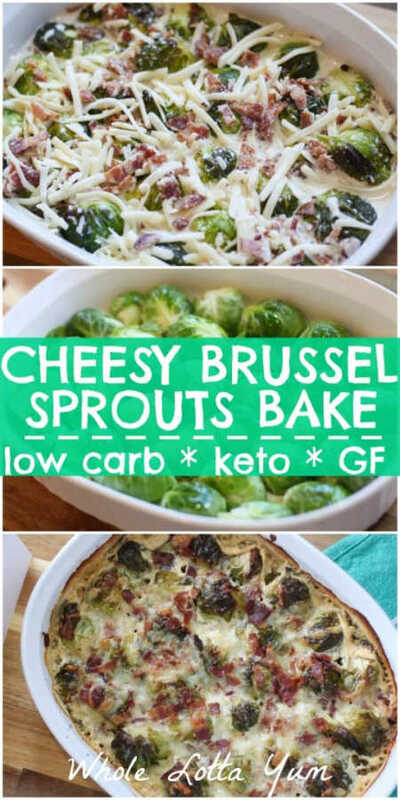 These are the perfect keto side dish recipes to enjoy with keto dinner any day of the week! 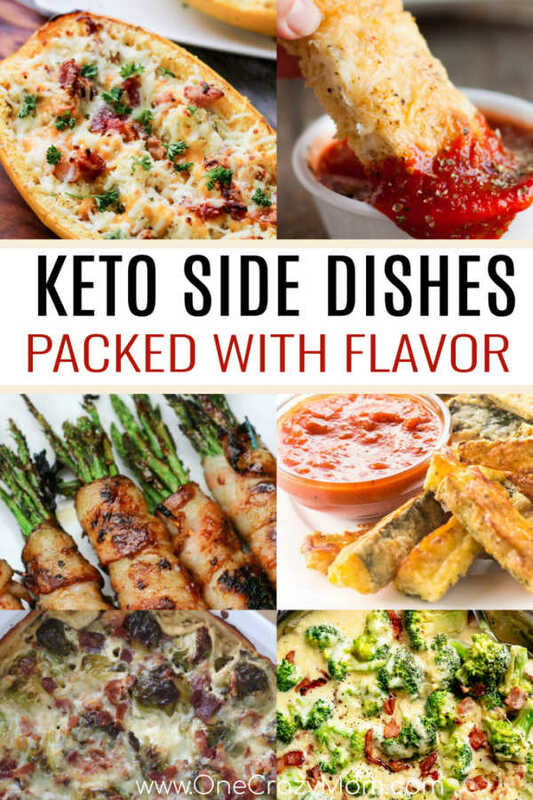 You will never be bored with so many tasty keto side dishes to try. There are lots of low carb vegetables that are keto friendly and make this way of eating so easy and delicioius. If you are eating keto low carb and sugar free, give these recipes a try today! 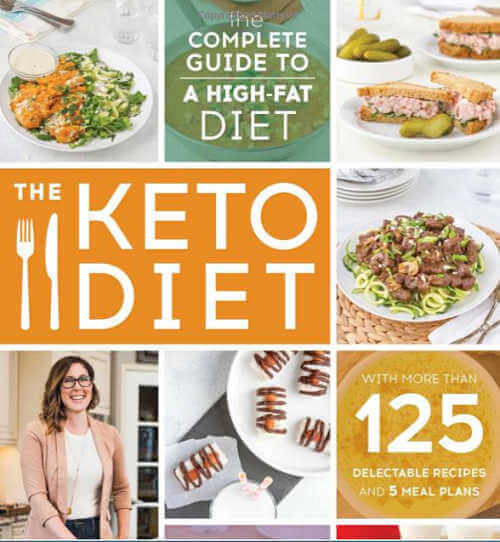 What can I eat with steak on keto diet? We love steak and often make this Crock Pot Steak Bites Recipe. It is perfect with Easy Cheesy Cauliflower Rice and a green vegetable like Delicious Roasted Green Beans. You can try lots of these low carb side dish ideas for a great meal idea. Absolutely and it is so easy to fix. 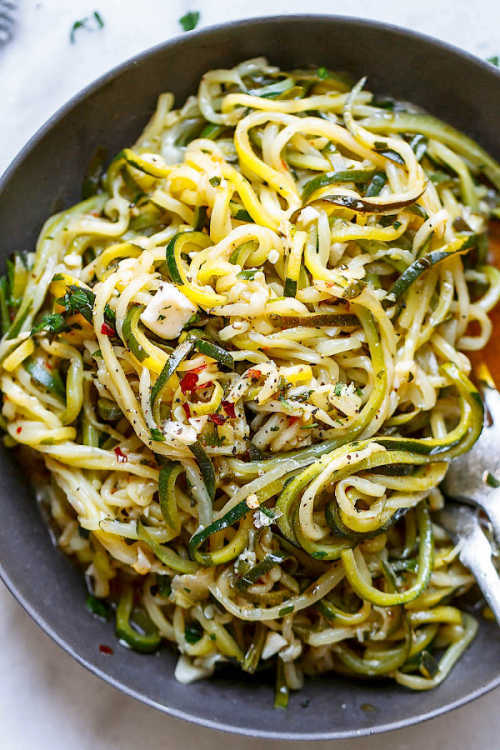 There are lots of great recipes as you can see above that call for zucchini on the keto diet. If you are looking for keto side dishes for Christmas or keto side dishes for Thanksgiving, try these recipes! They are perfect for any day of the week but special enough to serve at family gatherings and holidays. Each of these recipes are so tasty that even those not eating low carb will enjoy them. These are the best keto side dishes restaurant ideas! 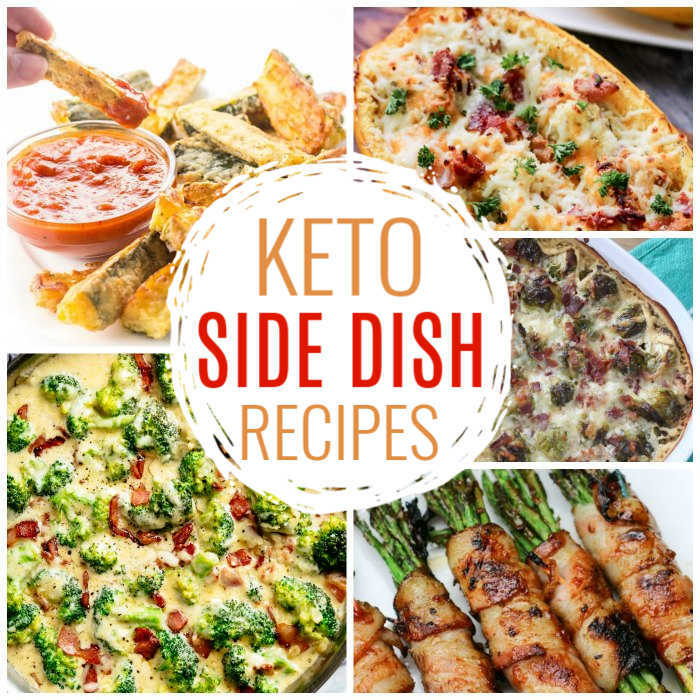 Whether you are looking for keto side dishes without cauliflower or keto side dishes not vegetable, there are recipes here to suit everyone. From broccoli to asparagus and much more, everyone will find something they like. If you are looking for low carb side dishes not vegetable ideas, try those amazing cheesy bread sticks. Yum! We have over 30 delicious and simple to make keto ground beef recipes you will love.